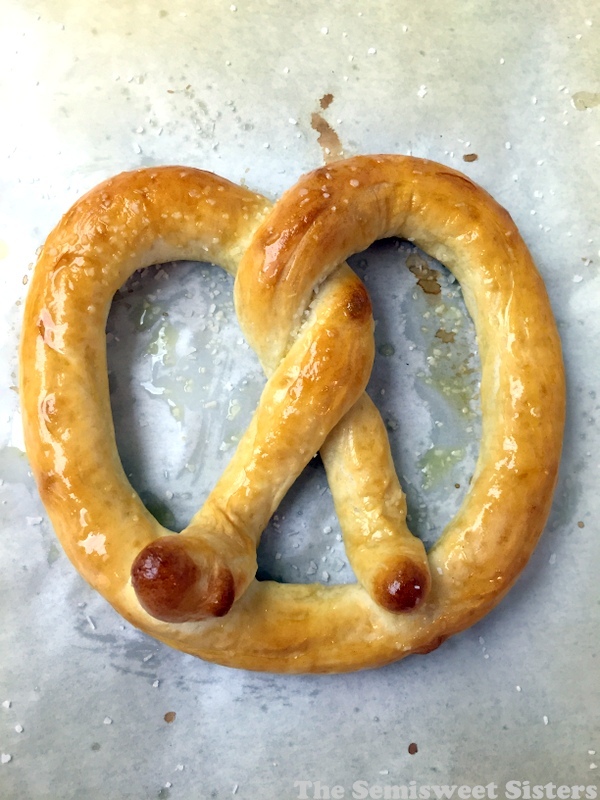 My sister & I have two pretzel recipes that we really like. 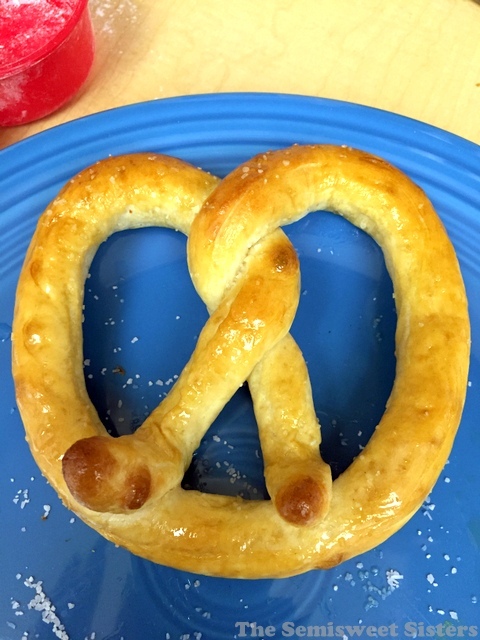 I’ve already posted one of them, Auntie Anne’s Mall Pretzel Copycat Recipe. This one here is my sisters recipe that I’ve been making quite often lately when I’m craving a salty snack. This recipe is great for those of you looking for a dairy free pretzel recipe because it uses water instead of milk. It’s a very simple 5 ingredient pretzel recipe. Instead of brushing the tops with butter I use olive oil & then I sprinkle them with kosher salt. *Tip: Use a little vegetable oil to roll out the pretzels, not flour. Trust me, oil works much better! Add yeast & warm water to mixing bowl. Add in brown sugar, flour, & salt. Mix ingredients together. Knead about 8 minutes either by hand, with a dough hook on a stand mixer, or in your bread machine on dough setting. If the dough is too sticky add a little extra flour, if it's too dry add a little extra water. You want the dough to form a ball. Cover & let rise for 1 hour or until double in size. Line baking sheets with non stick baking mats or parchment paper. Mix baking soda & warm water together for the soda bath in a shallow dish, I use a 8x8 pan. Use a little oil on the surface your rolling your pretzels out on. Divide dough into 12 balls. Roll each ball out on lightly oiled surface to form a 3' rope. Shape into pretzels. Dip in the water/baking soda solution. Place on prepared baking sheets. Let rise 15 minutes. Bake at 450 F. for 8-10 minutes or until edges of pretzels are starting to turn golden brown. Brush with olive oil & sprinkle with salt to taste. I needed 5 cups of flour. BUT, the pretzels came out great. Next time i will make my snakes longer.